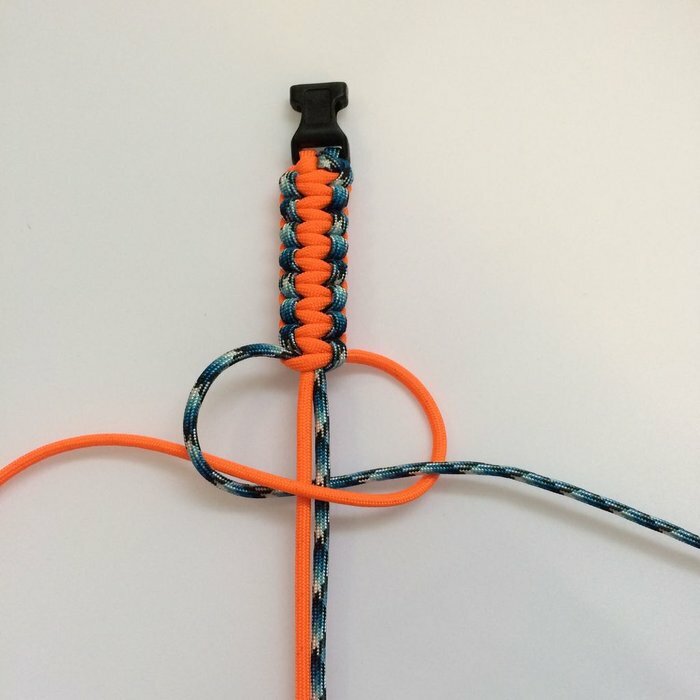 Bring the piece of paracord you want to be the center color, across the middle. Then bring the second piece of paracord, over the top of the first piece, then behind the paracord bracelet, and up through the hole made by the first piece of paracord. Make sure you get real 550 Paracord for you Paracord Projects.